The tests keep coming. Nothing is what it seems. The group as it is now after a few sessions may not be what _______ had in mind. Although I am not sure he has a clear cut idea of what he wants. My heart goes out to him and I want to help him if I can. I'm pretty free-flowing at this point. I don't feel I have to come under anyone's "spell." Neither do I have to convince anyone of anything. It's not that I don't care about anyone. But I can be very ecstatic even if everyone else is grumpy, judgemental, closed-minded, sour, mean and even downright nasty. Ha Ha, bring it on. I don't feel guilty or ashamed for being very joyful and happy. Even in Krishna Consciousness, lol. I don't think it is a sin to be blissful. And my joy doesn't depend on others approval. Actually, I think it may give hope to those in miserable conditions to see that someone really is happy. It's the bliss factor. Krishna can be understood by ecstatic worship. He reveals Himself. Not just by knowledge, or by austerities, or "works" as the followers of Jesus remind us. It will be interesting to see where the Monday night (spontaneous devotional service) group goes. I'm just having too much fun to worry about it. As for the question that came up in Monday's session: "Where did we come from?" We are dealing with consciousness. I asked a friend who I love to hear from... about this issue. "Fall from the spiritual world and return or never having been there and growing a spiritual body." I liked his response. It was basically the same type of answer an old Jewish woman in my father's nursing home gave when I asked her, "Why is it said that the Jewish people are the chosen people?" She looked at me like I was the dumbest thing ever and said, "Chosen to serve God." Then I asked her, "What is that service?" Again the look, what an idiot know-nothing you are, "Whatever He asks them to do." As for the problem of the word "eternal" and ____________'s suggestion that in Sanskrit the word that we translate as eternal actually has many other meanings. Then I would suggest that when it is said in Gita that one "never" returns to the material world the Sanskrit word for "never" may have many other meanings also when translated into English. So the whole thing becomes bizarre. If "eternal" doesn't really mean eternal then "never" doesn't really mean never. 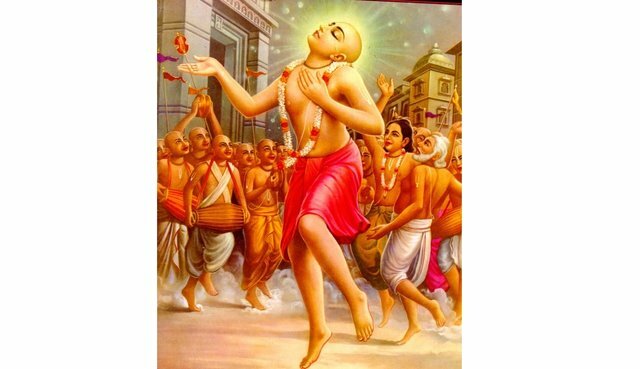 If we can ride out the turbulence that is sure to come as we try to enter into spontaneous devotional service (raganuga bhakti) it will be a great miracle. Just some thoughts I wanted to share. Still friends?